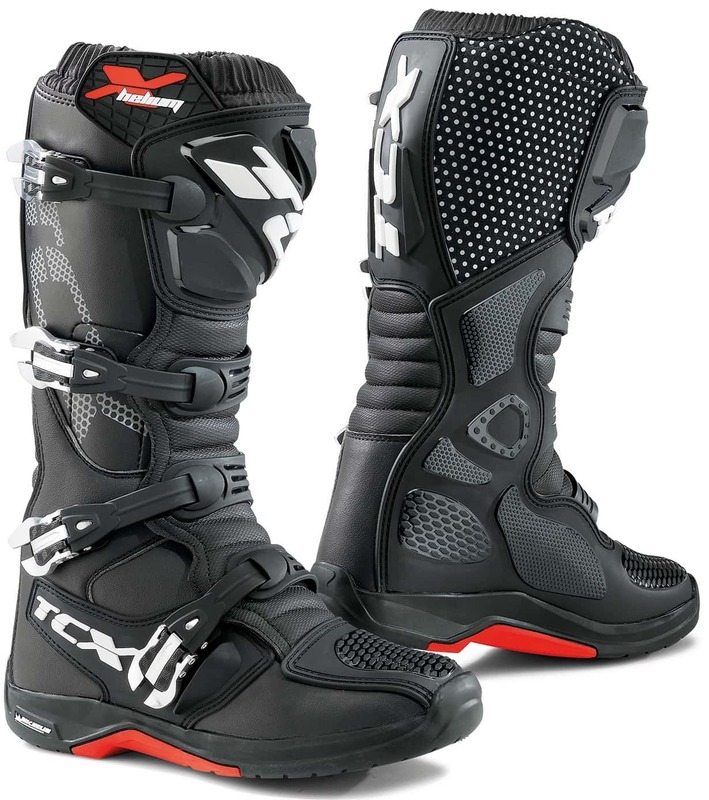 Blending the best technical features of a pure moto boot with the more specialized needs of an enduro rider or a dual-sporter, TCX elevates the off-road arena with the 2017 X-Helium. From the trick top buckle to the bottom of its exclusive Michelin MX Hybrid sole, the X-Helium lives up to the company’s “Focus On Boots” motto. And unlike its predecessor, the X-Helium 2.0 is available in more than just black and white: Fluorescent Yellow joins the colorways. To elevate the boot, TCX focused on the best selling 1.1 Pro and upped the spec while keeping the price down. 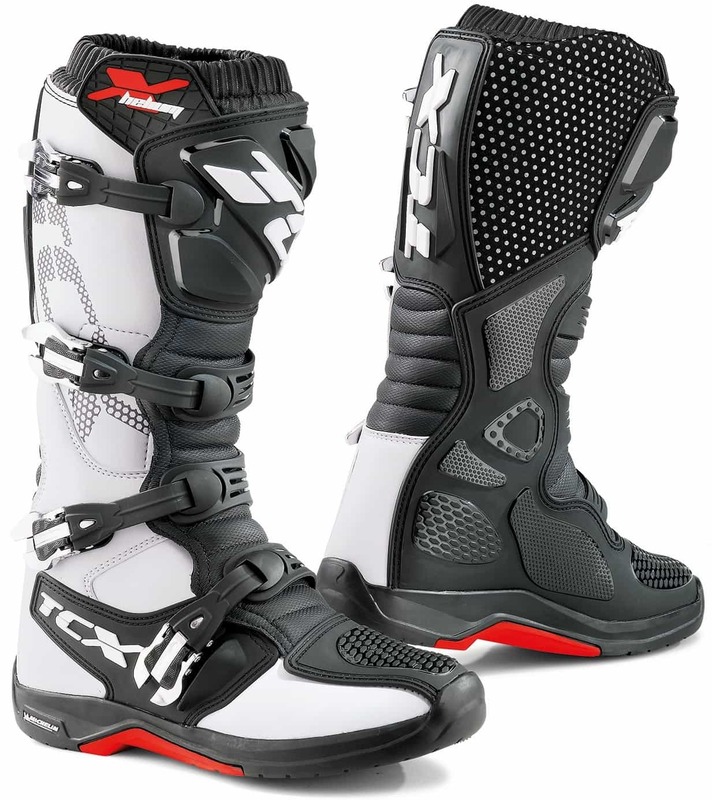 Building on the best features of the earlier Pro model, the X-Helium gets what have been referred to as “the best buckles in the business.” The buckles are ergonomically designed for easier opening, even with gloves on. 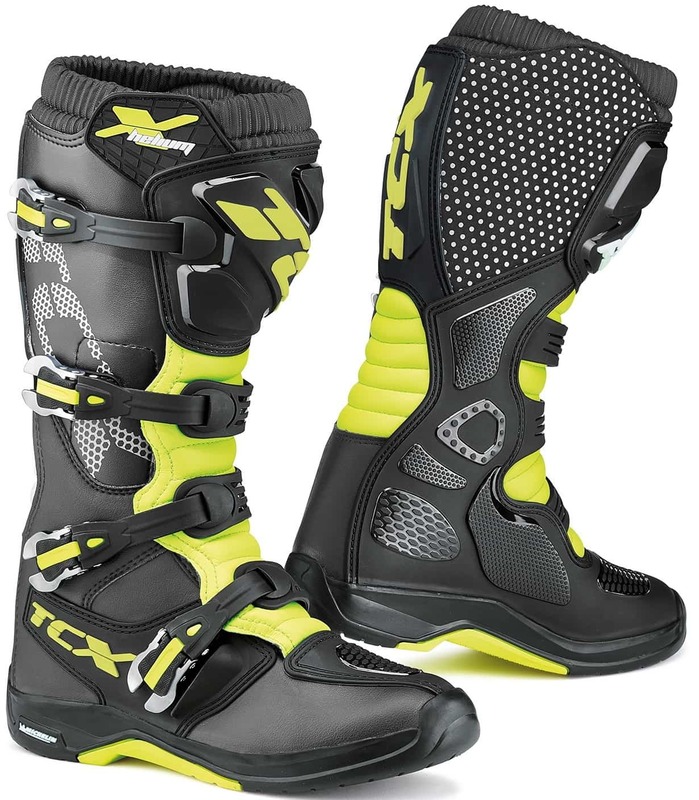 Micro-adjustability means the boots fit like they were tailor made for each rider. Should anything ever happen, the aluminum buckles are also fully interchangeable.